Eric Fruits, Ph.D. is president and chief economist at Economics International Corp., an Oregon based consulting firm specializing in economics, finance, and statistics. He is also an adjunct professor at Portland State University, where he teaches in the economics department and edits the university’s quarterly real estate report. His economic analysis has been widely cited and has been published in The Economist, the Wall Street Journal, and USA Today. Dr. Fruits has produced numerous research papers in economics and finance, with results published in the Journal of Law & Economics, Journal of Real Estate Research, Advances in Financial Economics, and the Municipal Finance Journal. Philip J. Romero is an economist, policy analyst, and applied mathematician. He is an expert in cost-benefit analysis, economic policy, national security, state and local taxation, and strategy in deregulated industries. At the University of Oregon, he served as business dean from 1999 to 2004 and currently is a professor of finance. Phil’s background combines think-tank economics, corporate strategy, and high-level public policy. Author of eight books, his focus is on how public policies affect business strategy and personal investing, especially for retirement. He has twice served as California's chief economist: to Gov. Pete Wilson in the 1990s, and Gov. Arnold Schwarzenegger in the 2000s.. During his tenure in the California’s Governor’s office, Phil served as director of the state Office of Planning and Research (OPR), the Governor's think tank. He also served as Gov. Wilson's national security adviser. Jacob Vandever is a lifelong Oregonian, born and raised in Umatilla. 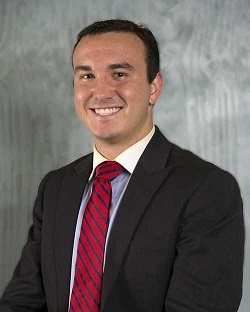 Jacob attended Oregon State University where he served as the President of the College Republicans during the 2012 election. In 2015 Jacob graduated with a B.S. in Political Science from OSU. He is a former Republican Nominee for the Oregon Legislature, a political consultant, and writes a weekly column for the Oregon Catalyst Blog.